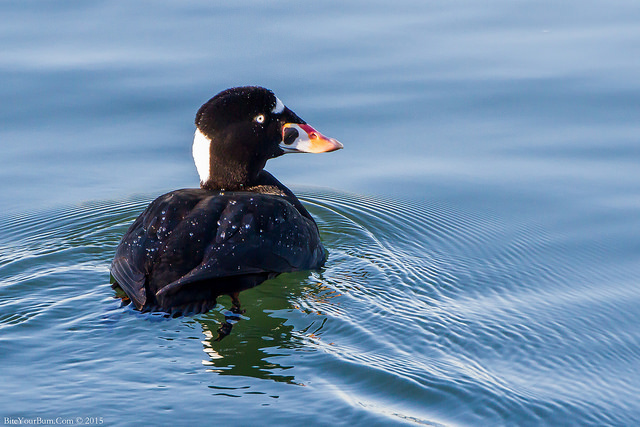 The Surf Scoter is a rare appearance in Western Europe. 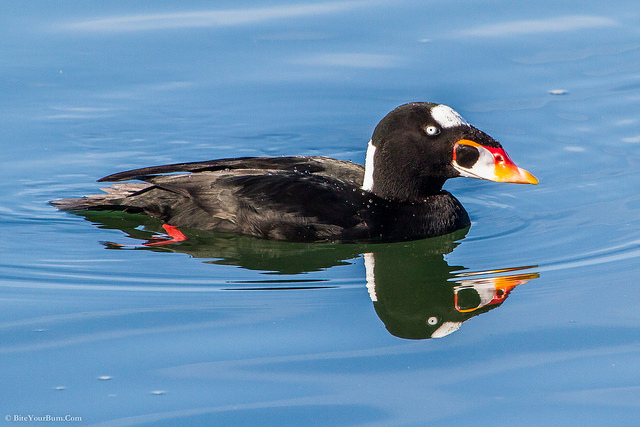 It is a North American bird that occasionally crosses the ocean and then can be seen in England or Norway. The male has white spots on head and bill.